Cakes, Cuppies And Other Confections: Yahtzee! This was another Pinterest inspiration! My family loves to play games and when I saw the picture of these dice I knew I couldn't go wrong giving this as Christmas gifts. I couldn't find really solid instructions to creating the dice, but thankfully I have a handy husband. We purchased a 4x4 and he cut it into equal blocks. I measured out all the holes using a real die to make sure the numbers were on the correct sides. 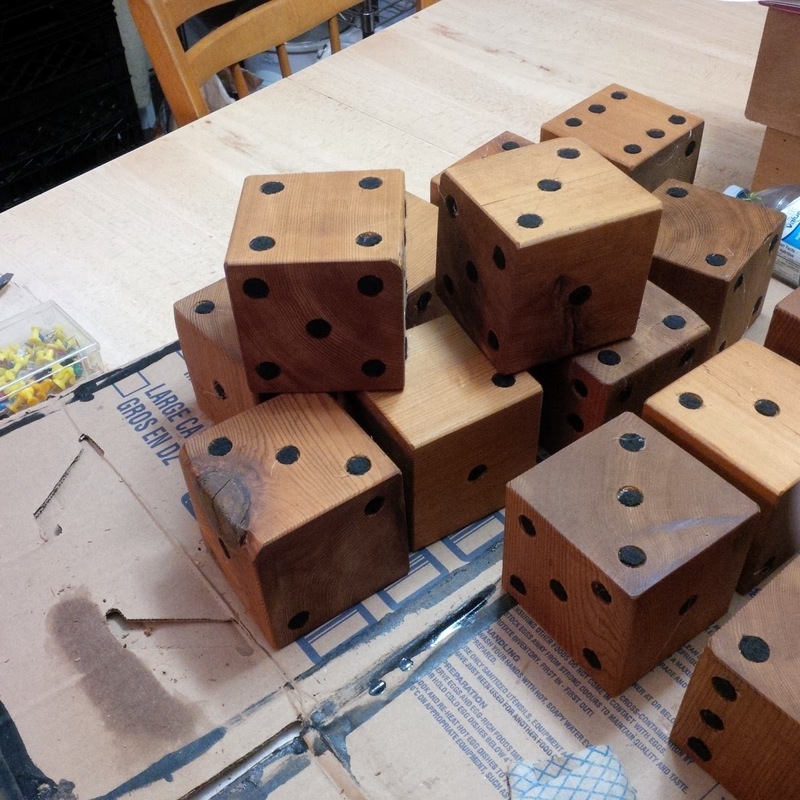 We sanded them, stained them, sealed them and glued some black felt into the holes. I took home some old milk crates from work, cleaned them up and spray painted them all black. I created seat cushions for the top of the crates so they could double as an extra seat. Each milk crate got a 6 dice, a booklet of a ton of dice game instructions, score sheets needed for a few of the dice games, a smooth piece of wood painted with chalkboard paint and a box of chalk to keep score with. It makes a great outdoor game to play with friends and family.